Does anybody still use rims for 26 inch rim brakes these days? Yes, indeed! 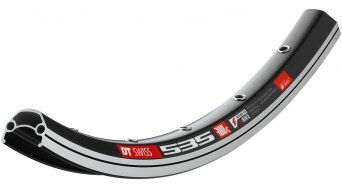 Are rims for rim brakes still being sought? Rim brakes are increasingly replaced by disc brakes - that's true. And what about a 26 inch wheel size? Oh yes, they are still available! 26", nothwithstanding other statements, are not yet extinct! Many great bikes are still being ridden, even if their 26 inch wheel size has become, let's say, "old-fashioned". To fans of 26 inch bikes and those that wish to remain loyal to their wheel size, we offer a small, nice assortment of rims for rim brakes. Even for simple city bikes, we can offer 26" rims in our assortment, as well as for premium touring bikes with a traditional Magura brake. 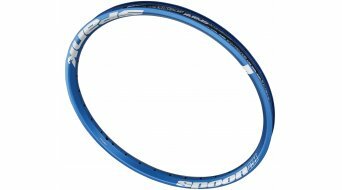 People who ride trial bikes and bikes with smaller 24" rim brake rims will also find what they are looking for. Last, but not least, we would like to point out: A rim for rim brakes can also be used with disc brakes, but not the other way round. 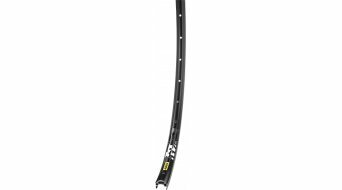 Alex Rims, DT Swiss or Mavic - explore our assortment of cheap rims for 26 inch or smaller for V-Brake bikes. You can't find the right one? Have a look at our selection here Wheels for rim brakes, if it is not just the rim but a whole wheel that you are looking for.